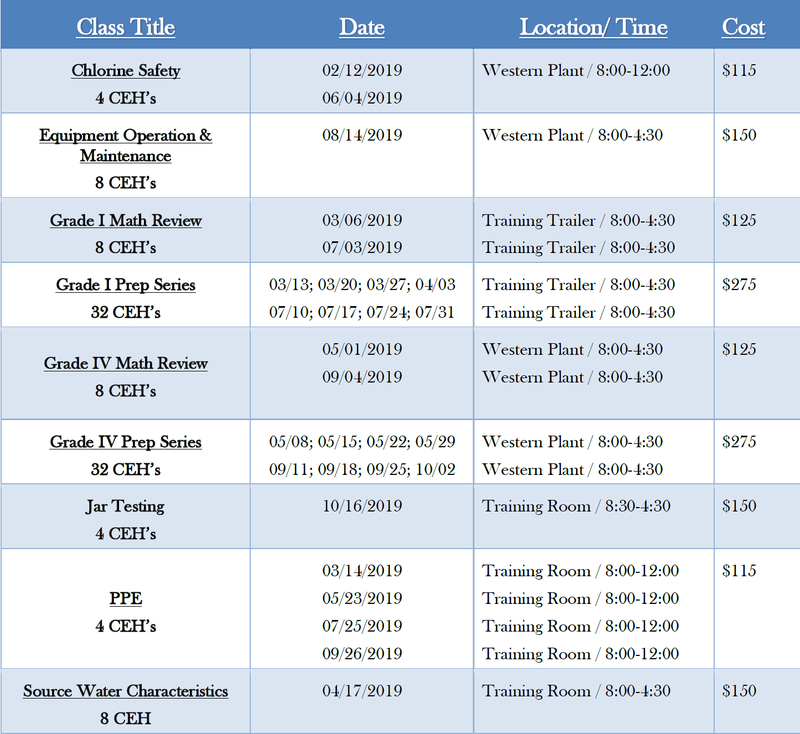 The BWWB University has developed the following classes to offer training to operators that will maintain their skills, help them to adapt to changing workplace needs, and continue to develop their careers. We aim to provide classes that are interesting and informative. Please contact us to sign up for any of our CEH Classes, or if you have any questions about our CEH Classes.